Steven Tyler's search for alternative employment didn't start too well. Mammoth rock gods Aerosmith have announced plans to replace singer Steven Tyler, and quickly. Guitarist Joe Perry confirmed this in an interview with news agency QMI “We’ll start having some auditions, making some phone calls. 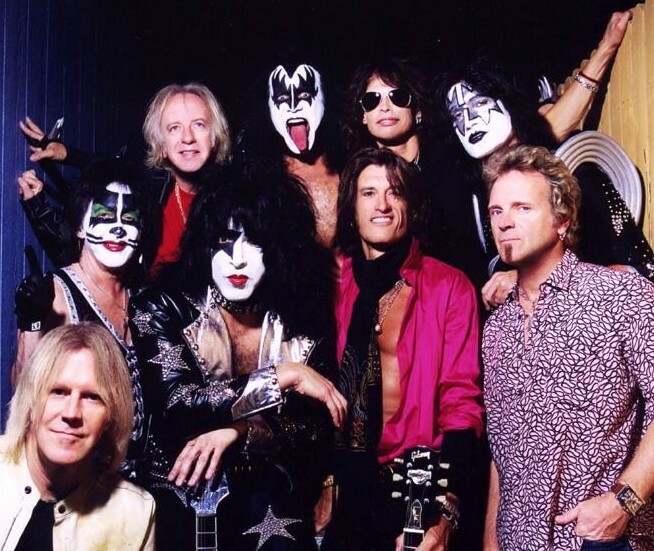 Hopefully, we’ll have found a new singer by the summer, and Aerosmith will be able to go back out on the road”. 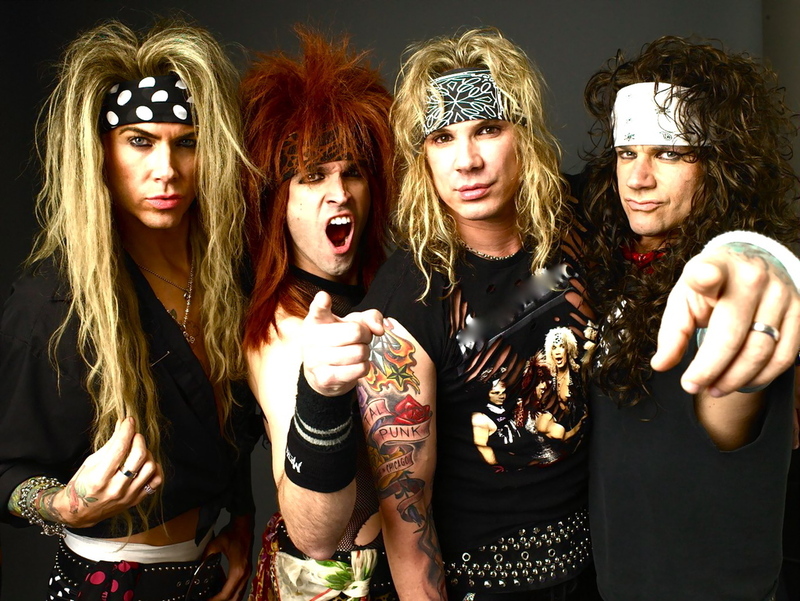 We here at Fancore are huge Aerosmith fans, and we can’t help but ask what the big rush is? For a band that doesn’t exactly take on a breakneck workload these days, sitting this year out and letting Steven recover wouldn’t end the world would it? What do you guys think? Should Aerosmith have gone the side-project route, or should they not let one man’s absence influence the band? Give us a shout on the comments section. After bagging ‘Best New Festival’ at the annual festival awards, Sonisphere have announced that the festival will be returning for 2010, extending to a three day event and boasting a mighty impressive line up. Iron Maiden and Rammstein are confirmed as headliners for the Knebworth festival, with Alice Cooper, Slayer, Anthrax, Iggy and The Stooges, The Cult and Motley Crue also on the bill. With Metallica announcing a headline slot for Sonisphere in Poland, the thrash legends are heavily rumoured to be the third headliner for the UK dates. 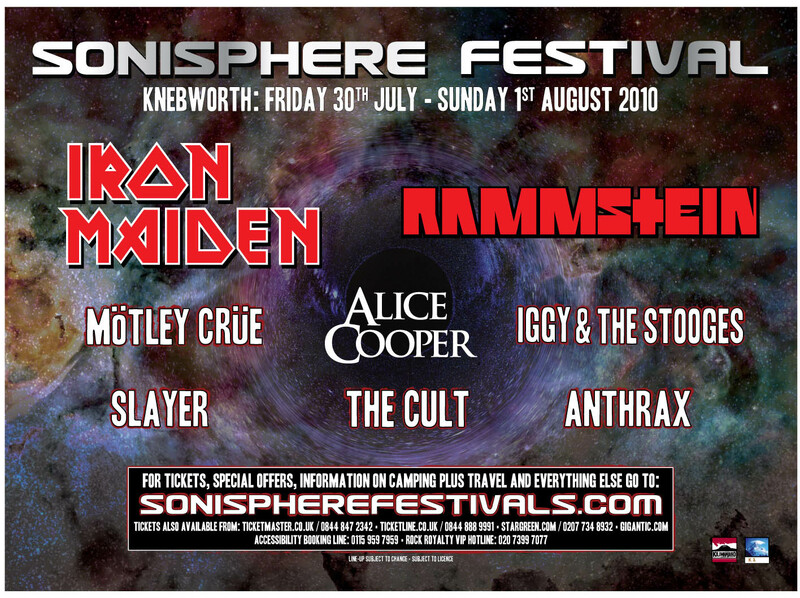 “Alice Cooper, Anthrax, The Cult, Iggy & The Stooges and Slayer will be making their only UK festival appearances at Sonisphere whilst Motley Crue will perform their only UK show of 2010.Tickets are currently on sale. Other bands heavily rumoured have ranged from Heaven and Hell to Foo Fighters, keep up to date with all your festivals here at FANCORE. Will you be buying tickets? Slayer will make their welcome return to a festival stage in the UK after a three year absence at Knebworth with fellow ‘big four’ thrash kings Anthrax returning with John Bush back in the fold. Flying in from LA for their only UK show of 2010, Motley Crue will be bringing with them their sleaze-drenched rock with The Cult also making an exclusive UK festival appearance and having marked England’s place on the global rock map, they remain one of the few UK hard-rock bands to have truly broken in the US. Talking of legends, Iggy & The Stooges are also sure to make their presence felt at Knebworth this summer! Sonisphere is set to be an even bigger monster in 2010, with the extra day of music added. Friday 30th July will see the festivities getting started with a Rocky Horror Show theme, and Alice Cooper – the godfather of theatrical rock – suitably closing the evening on the Saturn stage at his only UK festival performance of 2010. Fancy dress is expected and encouraged. In addition to the acts on Saturn, there will be bands performing on two tented stages from 6pm until 11pm. Regular campers will have access to the campsite from 12pm on the Friday, but for a mere £5, the festival campsite will open for early campers at 3pm on Thursday 29th July, with Bohemia village open from 6pm Thursday right through until 3am Sunday morning, for non-stop fun with white knuckle rides, dodgems, arcades, comedy, massage, bars, market stalls, and cafes to chill out in.